What is the clay marble? The clay ball is first in the form of clay, a natural rock material, then shaped into balls. Placed in a high-temperature furnace, heated to 1200 ° C., the clay balls expand and form very porous balls. All the clay beads are not identical, their density may vary from 0.5 to more than 1 g / cm 3 . There are also different gauges: 4-8 and 8-16. What are the benefits of clay ball? The big advantage of the clay ball is that it does not retain water, it is ideal in a hydroponic culture . Indeed, it has a closed internal porosity, that is to say that the air or the nutritive solution can not penetrate into the beads. The irrigation can be continued without drowning crops . Thanks to its great drainage qualities , putting clay ball at the bottom of a pot is generally recommended to improve aeration, protect your roots and thus promote the good development of the plant. During watering, water can stagnate in the bottom of the pot and asphyxiate the roots of the plant, the clay ball will facilitate the flow of water. Application: Place a 3 to 5 cm layer at the bottom of the container. We have seen that the ball of clay possesses real qualities of aeration. So that the root system of the plant grows at best, it is possible to mix earth and clay ball. Indeed the substrate will be lightened and moisture retained. Application: Incorporate 10% by volume of clay ball. Beyond its draining and aeration qualities, the clay ball is also very aesthetic when placed on the surface of a flower pot, it will reveal the color of the plants. Also they will keep the moisture within the pot , which is beneficial for most plants. Application: Place a 2 to 4 cm layer on the substrate used on the surface of the container. Find clay beads at the best price at indoor culture, the leader in hydroponics, the specialist of your indoor gardens, find all the articles for the garden in our high tech garden, find thousands of references on Our online site since 2002, find cheap clay beads, clay balls in 5 liters or clay balls in 10 liters also available in 50 liters in our range of natural expanded clay beads, find beads d Clay for biological gardening of your plants. Comparative article made by the blog hydro2farm, allowing to compare the different clay marbles of the hydroponics market. Discover their different opinions regarding the different brands of expanded clay beads. 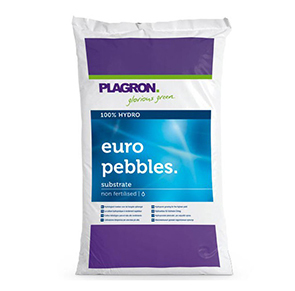 Did you know that there are balls of clays much lighter than the round clay balls of type plagron or hydroton? This can be used for large systems where the weight is important to prevent the pot from tipping over so the balls of round clays will retain the water. So there are a multitude of brands of clay marbles on the market of hydroponics, by this article we present you some different brands that I have procured. If this can help you, it's great! To do this : Put in a container the quantity of marbles you will have to use and rinse several times in order to have a clear water. Then fill with water and keep at a PH of 5/6 for at least 24 hours (up to several days for some beads), renewing the water at least once or twice. To see if your balls are well stabilized, fill your water container to PH of 6, and check to see if it stays stable, otherwise repeat the acid pH dipping operation. It is a bit constraining when you have a large amount to do but it is better and advised. The Brand and possibly the model. A photo of the bag. 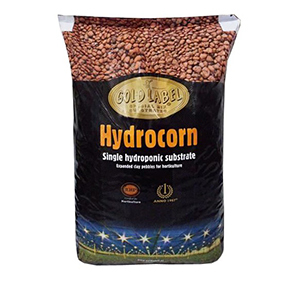 The weight of clay beads for 5 liters, it is a A criterion that can be important if you want to lighten your hydroponic system. I could add new products in the future if I get others. opinion : I find them expensive , and it is not at all justified in my opinion , until proven otherwise. It looks exactly the same as in brico shops, twice as expensive! opinions : They are almost identical in size, do not generate dust and are lighter than I was able to test. personal favorites and more are the cheapest ones, it looks like the ones Of GHE. opinions : They are quality and not very heavy but a little more expensive. opinions : I regret that they can not be found on sale. They can be obtained from GHE, but with the shipping costs it is not interesting. And frankly I do not see any difference with the clay beads from Platinium. For the brico shops, I indicate that 2 models, no picture because I have not bought, it is really for indication if you do not have a Growshop in your area. Reviews : Dusty bags in store are often broke, be careful when buying. Privileged the Growshop, much cheaper and good advice. Reviews : Dusty bags in store are often broke, be careful when buying. Privileged the Growshop, much cheaper and good advice. " This article was reprinted on hydro2farm culture blog, which compares and tries products for you dear customers. 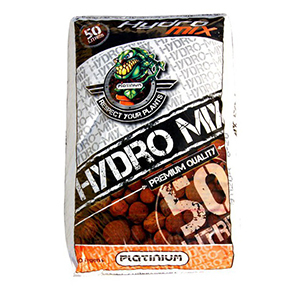 Make the right choice because the prettiest are actually the best clay marbles, increase your yields with hydromix of platinium hydroponics and grow at the right price. Culture Indoor your growshop for indoor cultivation since 2002.